There are now a variety of applications of ETS from this product family, which are used by the students with great enthusiasm. Tec2SKILL is supported on Android- and IOS. So both on tablets, as well as on smartphones, these applications can be used. Whether the school, the company or the institution provides the devices, or whether the participants use their own devices, it is definitely an added value for the learning process. BYOD – Bring Your Own Device – is already widespread in many educational institutions today. 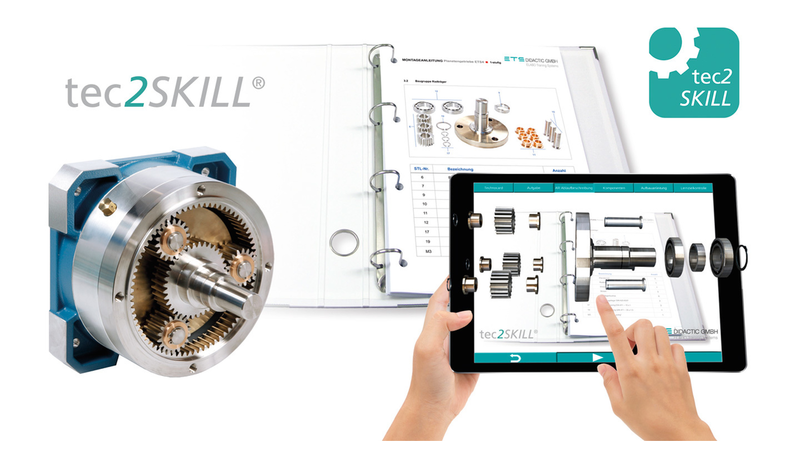 The digital learning assistant Tec2SKILL Mechanical, developed by ETS DIDACTIC for the transformation process from technology to ability, that is, to combine theory and practice. This product family use advanced graphical support through „Augmented Reality” applications – to make learning scenarios easier to understand for the student.